Ithaca Chasma is one of the two most prominent features on Saturn's moon Tethys; the other is the gigantic crater Odysseus. Ithaca Chasma is visible near the moon's lower right limb in this image, which does not reveal the branching canyon's full extent. 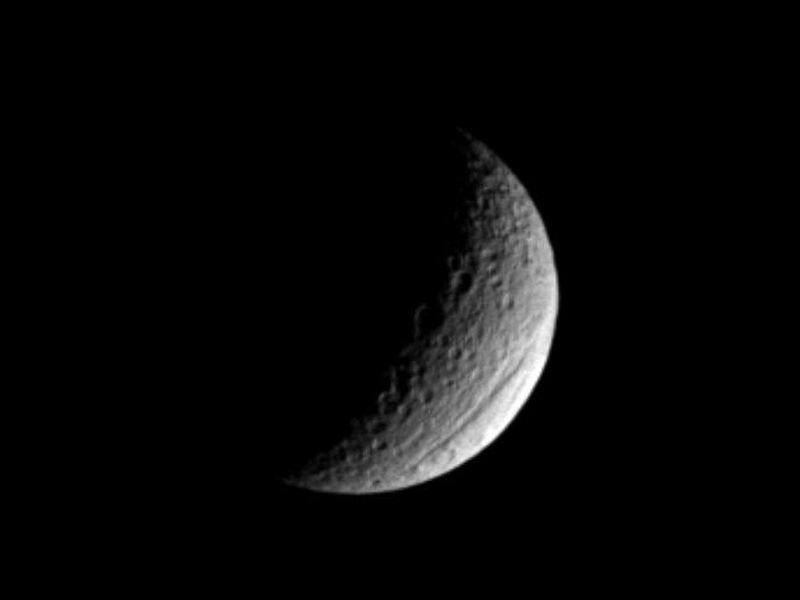 Tethys is 1,060 kilometers (659 miles) across. Discovered in NASA Voyager images, the chasm is 100 kilometers (60 miles) across on average, and is 4 kilometers (2 miles) deep in places. 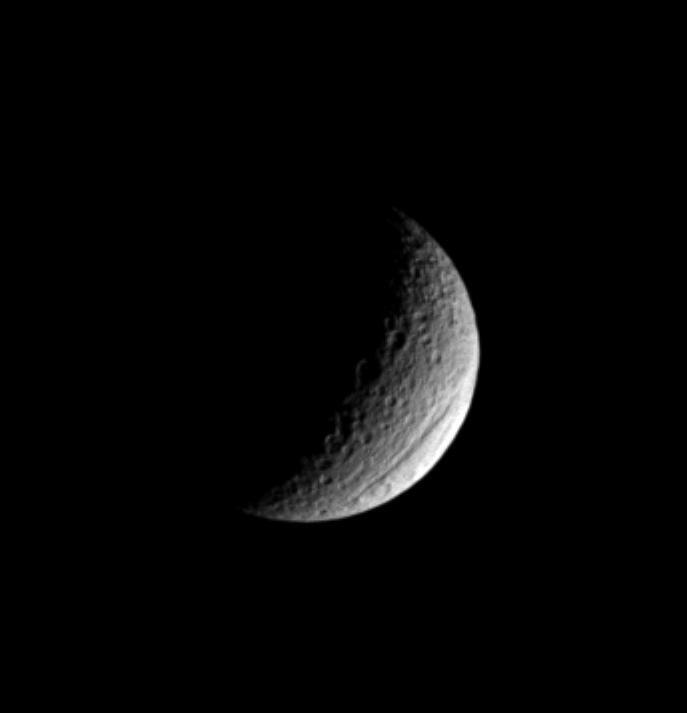 It stretches more than 1,000 kilometers (620 miles) over Tethys' surface, from north to south. This view is roughly centered on the leading hemisphere of Tethys. 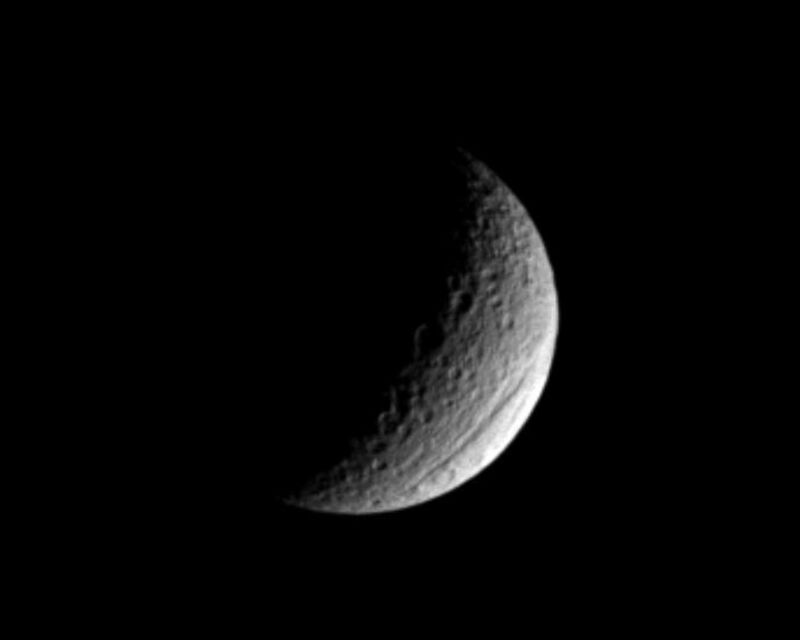 The image has been rotated so that north on Tethys is up. 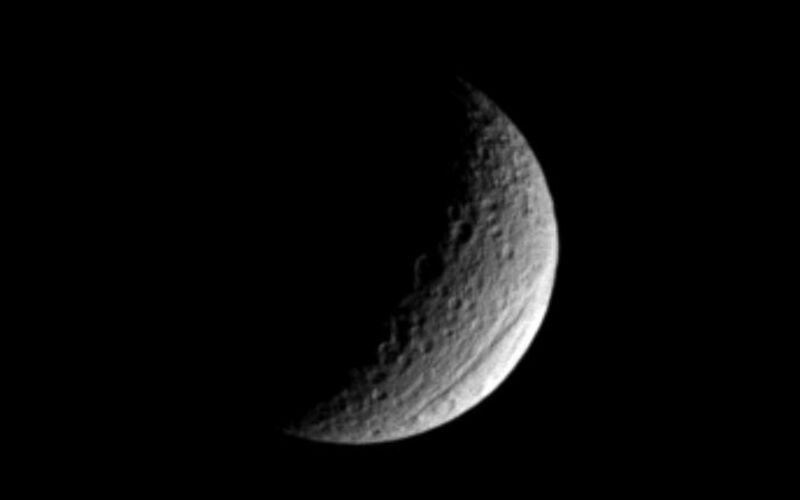 This view was obtained with the Cassini spacecraft narrow angle camera on Jan. 17, 2005, at a distance of approximately 1 million kilometers (621,000 miles) from Tethys and at a Sun-Tethys-spacecraft, or phase, angle of 110 degrees. A spectral filter sensitive to wavelengths of ultraviolet light centered at 338 nanometers was used to capture the image. Resolution in the original image was about 6 kilometers (3.7 miles) per pixel. Contrast was enhanced and the image was magnified by a factor of two to aid visibility.